When it comes to purchasing your first road bike, most cyclists don’t want to spent a ton of money. And it makes sense — you don’t know what type of cycle you prefer yet and despite the quality options out there that can run you from four to five figures, it makes the most sense to find a great beginners bike of excellent construction and functionality and get used to biking on your preferred terrain in order to pinpoint what type of intermediate or advanced bike you want. A great first bike will be easy to identify — it will make you always want to ride. It will make you excited when you think about it, when you think about your next ride, and when you talk about it with friends or other bikers. More importantly, it will open your world and allow you to discover the world like you have been unable to before. Essentially, the right first bike will end up defining who you are as a cyclist. So, your question now probably is: can I get a durable bike with good performance, reliability, and can do some heavy lifting without breaking on you? Yes — absolutely. The GT Grade Carbon 105 is a versatile road bike that is perfect for beginners. Not only can you buy different Grade models (besides this GT Grade Carbon 105) for customization options, but the range of options available means that you can buy a bike depending on how much you are comfortable with spending. The Grade made it debut in 2014 with its front thru axle, wide tires and rims, and its disc brakes (when caliper were more common at the time). 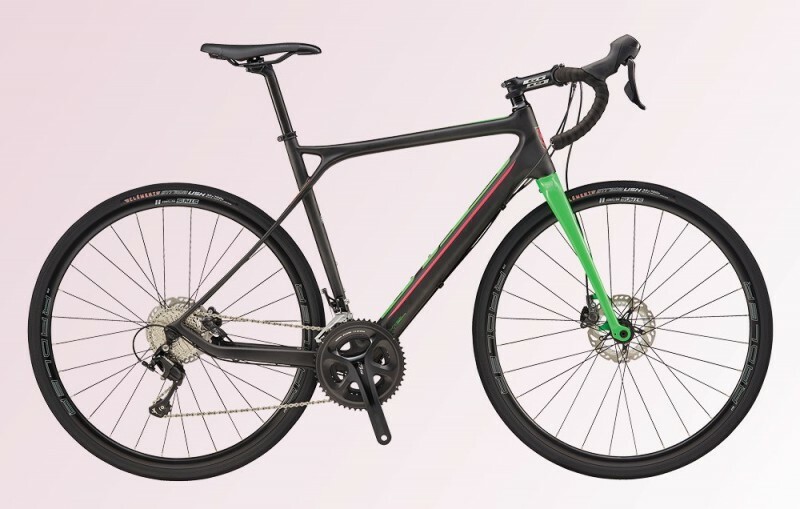 The Grade was talked about as a very forward-thinking bike, and the GT brand came through with anticipating what the world of cycling would adopt as far as features go on road bikes. GT offers both aluminum and carbon frames, but the GT Grade Carbon 105 is built with the carbon frame in order to maximize compliance. The area where the top and seat tubes meet is a quirky triangular gap and helps to dissipate road vibration. This is accomplished because the seat stays are positioned outside the seat tube. The stays are notably skinny and are made rigid by glass-fiber core. 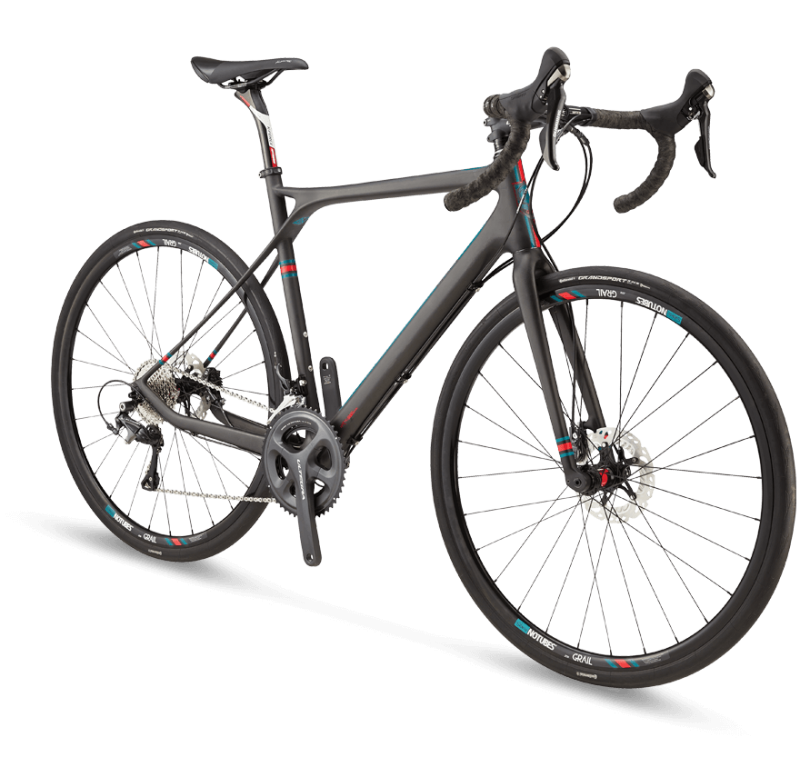 Damped with an outer layer of carbon fiber for a more vertical compliance, this bike a great go-to for any beginner who wants a solid road bike. In the carbon fork, the thru-axle sits in slightly offset dropouts, which have more give than traditional in-line dropouts. 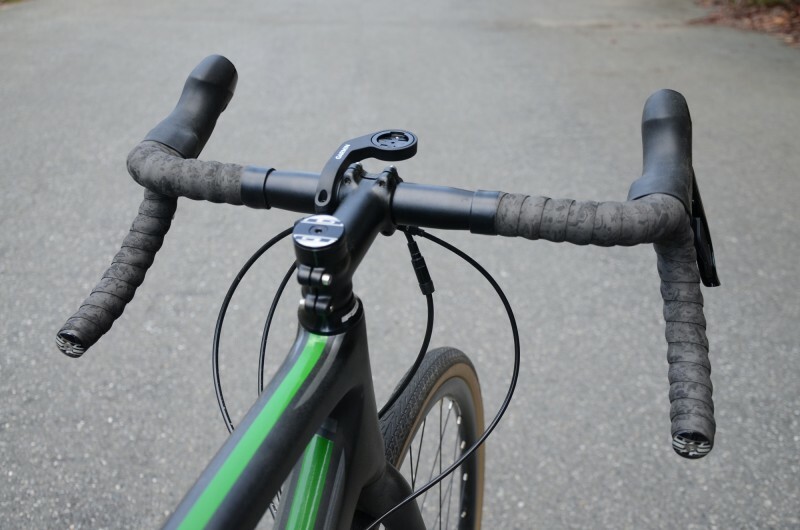 A tapered steerer tube offers additional fore-aft compliance. The geometry of the Grade is dialed in for long rides. The tallish head tube places you in a slightly upright position and gives you a longer wheelbase and low BB (bottom bracket) height, which contributes to handling stability. Now, this doesn’t mean that this bike is sluggish — in fact, the Grade is straight up awesome to rip on. The crispness to the ride is in its oversized tube, a nice hefty PF30 BB, a wide seat tube junction, and fat and angled chain stays. In addition, the outboard position of the seatstays also increases torsional stiffness. In addition to geometry and tuning that will make riding this bike on- or off-road a blast, the GT comes with Stan’s wide, tubeless-ready rims and grippy Clement Strada 32c tires. 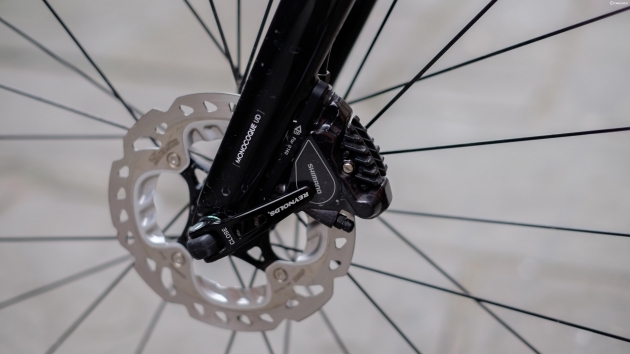 The hydraulic disc brakes are Shimano R785 type and offer some great stopping power, which is perfect for off-roading. 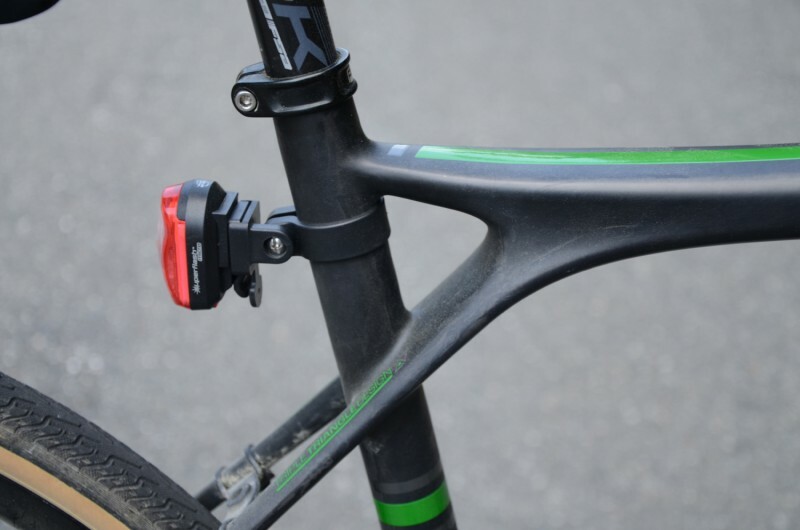 The handlebar features a 16 degree flare for additional control in the drops, especially on uneven terrain. You can purchase the Grade in rim or disc-brake versions and can choose between aluminum and carbon for the frame. Each frame material has three different builds, with a total of six bike models to choose from. Even if you wish to save some money and choose the aluminum frame, while it is stiffer, it still offers that same attitude in the rider as the carbon. 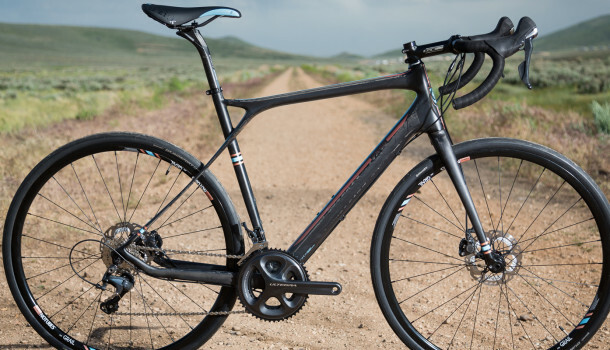 The price of the GT Grade Carbon 105 — which is the build and model featured in this review — is $2,660.00. The weight for this model (for the 53cm size) is 20.2 lbs.